Widowed Emma Hammond has resigned herself to life as an unwanted, poor relation until the mysterious Chal Pannell appears, seeking the half Romani child that has been rejected by her family. Emma needs to escape the loveless marriage that has been arranged for her. Chal wants a woman to warm his bed and ease the grief he suffers from the loss of his wife. But their quest to find the missing boy awakens passionate feelings that neither one expected. 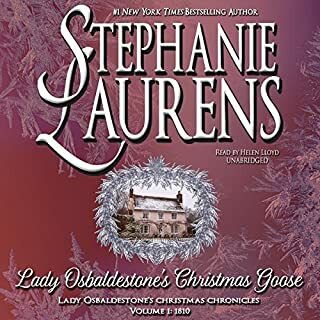 When the coach she’s riding in is attacked by highwaymen, Arabella Scott is saved by Lieutenant Richard Acherton and carried off his home, an isolated Cornish manor house that is even darker and more forbidding than its owner. Are the spirits haunting Penlowen real, or only in the tormented mind of her rescuer? Vincent Wilmont, the Earl of Blackthorne, makes a point of living up to his reputation as a rake, even though his heart isn't quite in it. Indeed, his heart rests with Caroline Sydney, the ruined woman who’d gone to his bed in passion after she'd rejected his cool-headed offer of respectable marriage. A year later, she's cast him off, humiliated him in front of all of London society, all because he made the damn fool mistake of telling her he loved her. Women. Blackthorne’s public humiliation earns him admittance into the Hephaestus Club, a secret brotherhood of societal rejects, and there he swears never to marry, putting money down on the oath. When the wager provides a motivation for a smart, if skint, gentleman matchmaker to cash in, Blackthorne and the fiery Miss Sydney find themselves the starring players in a romantic farce filled with duels, declarations, and passionate trysts as they rocket down a path toward a horrifyingly respectable future as man and wife. It's Better to be Happy than Proper! 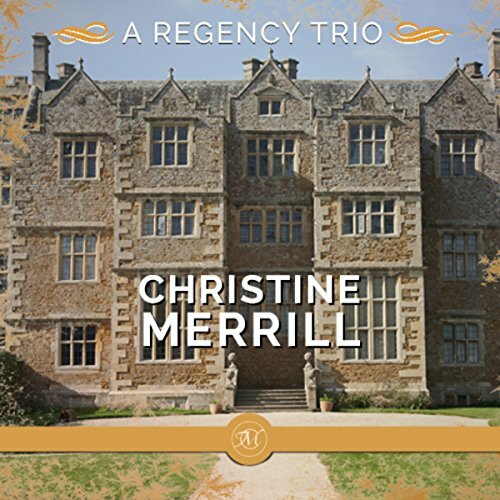 This is a collection of three Regency novellas, each an hour and a half to two hours long. They're steamy reads that all end with no cliffhangers, although the first story is a prequel that ties into another novel. Each heroine faces a choice between a respectable life or a life of true happiness, and as the wise Mr. Howard said it best, it's better to be happy than proper! 1. Emma Untamed: Emma is a poor widow taking care of a relative when she meets Romani Chal Pannell. Chal is searching for the half-Romani boy that Emma's family sent away to a foundling home. 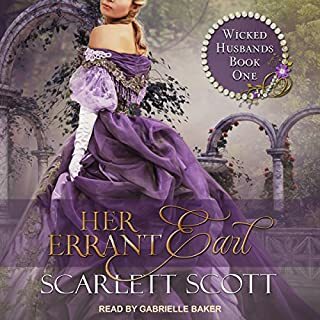 When Chal offers to take Emma with him to find the boy, she must decide between a man who rouses her passion, but will ruin her reputation, or a loveless marriage to a cruel man. This was a quick listen at an hour and a half, and full of passion. I liked both main characters, and would listen to the follow up books. I'd like to hear more about Romani customs, and any story that inspires me to keep reading along the same lines is a good one. 2. Master of Penlowen: Arabella is rescued from highwaymen by the reclusive Richard Acherton and taken to his home. Arabella is mystified to see Richard is terrified by his home and the ghosts inside. It isn't until she comes face to face with them herself that she begins to understand his fear. This one was a surprise for me! It ended up being my favorite. I usually avoid any book that could possibly be considered horror or a ghost story, but I really enjoyed this one. I thought the imagery was well done and could practically feel what Arabella felt, the writing was so vivid. Really good story. 3. To Recapture a Rake: Caroline and Vincent met in Bath before Vincent inherited his title. He immediately fell in love with the beautiful debutante and she felt the same. 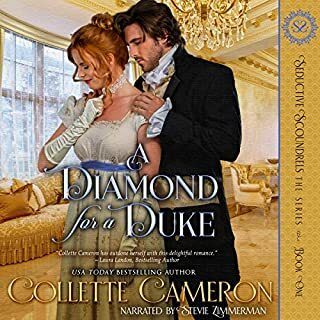 When they met again later, after Vincent became the Earl of Blackthorn, Vincent proposed and Caroline rejected his offer, not knowing that he loved her. After Caroline was assaulted by another suitor, Vincent nearly killed the man and offered to make Caroline his mistress now that she was ruined in society's eyes. Fearing that Vincent would duel every man who spoke to her, and still in love with him, Caroline accepted. After hiding Caroline away as his mistress for several seasons, Vincent finally told Caroline he that loved her. 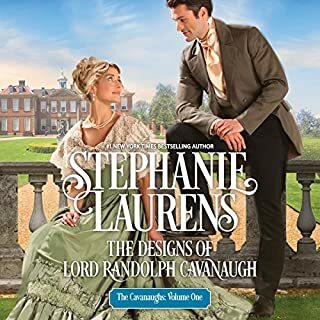 When this story begins, Caroline throws Vincent out on his ear after his declaration of love, and a meddling friend, Mr. Howard, works to bring them back together. The background of the story was a bit confusing, so I've laid it all out above. For most of the story the main characters seemed to be having a competition to see who could mistreat the other more. I did really like Mr. Howard, and I'd definitely read more of his brand of matchmaking! The narration was awesome, with distinct voices for each character. Her performance always pulls me right into the story. I requested a copy of the audiobook, and I'm voluntarily leaving a review.